I woke up at crazily 830am. Im a afternoon person. Please dont judge me and think that im such a pig right now. 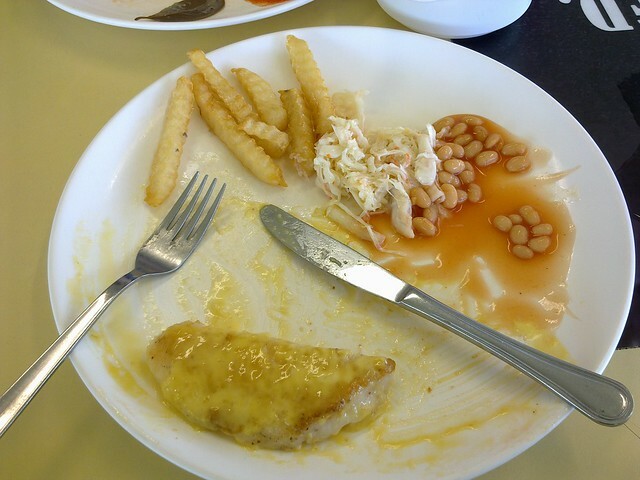 Went to Temasek Poly for delicious Mensa's Dory Fillet. Pardon the almost done food cause i was too hungry! Was suppose to collect my new passport but silly me forgot to bring my old passport. So i've to drag myself to Lavender and collect it another day. Watched movie and had dinner together. Pretty much sums up today. Tomorrow i shall post up 1 last post on the stayover at @ticklemytoess' crib.